Church View is a lovely, 200yr old character building. 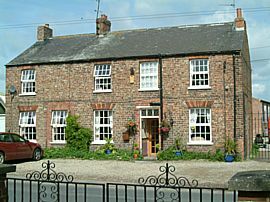 It's a former farmhouse, tastefully refurbished but retaining original charm with a cosy lounge real real log fires on chilly evenings. 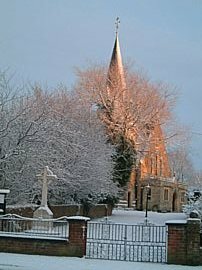 It's located in the pretty village of Stockton on the Forest and overlooks the village church. This countryside setting is just 4 miles from the city of York, which can be reached on a regular bus route every 30 minutes. 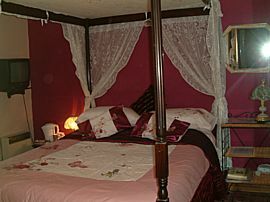 The bedrooms range from a romantic 4 poster with draped bed to a large groundfloor family room sleeping up to six. This is ideal for small groups or larger families. Breakfast of your choice is served in our attractive dining lounge and garanteed to set you up for the day. Whether visiting the city of York, the East Coast or North Yorshire Moors (both less than an hour away), you'll find this a great base for your break. The village boasts an attractive 18 hole Golf Course - Forest Park. There is also local pub / restaurant which serves meals just a short stroll over the road. 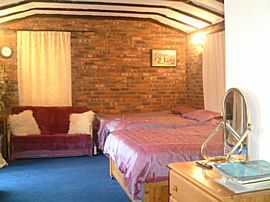 Large groundfloor family room sleeping up to six. Bus route every 30mins to York. Disabled Facilities: There are no disabled facilities. Ground floor room available for those that can not manage stairs. Located off the A64 York to Scarborough Road. 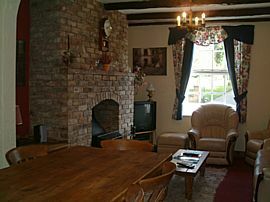 Large family from £85 depending on age and occupancy. Closed from 20th December to 2nd January.